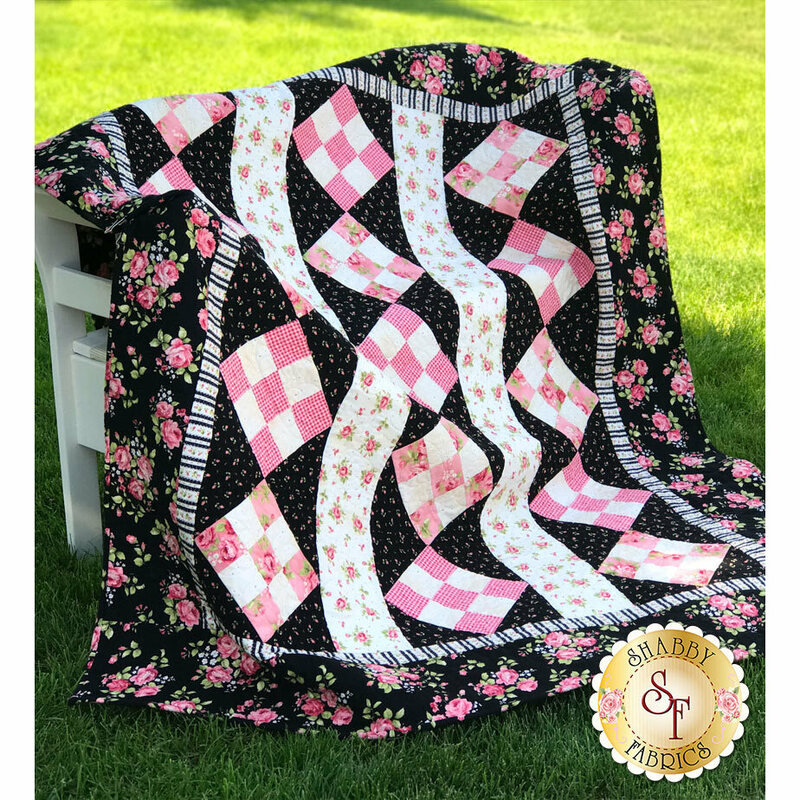 Gorgeous pinks and creams combine with beautiful black florals in romantic harmony to create the Pink Diamonds Flannel Quilt! This Shabby Exclusive is beginner friendly and made with our premiere cotton flannel fabric collection, Welcome Home Flannel! 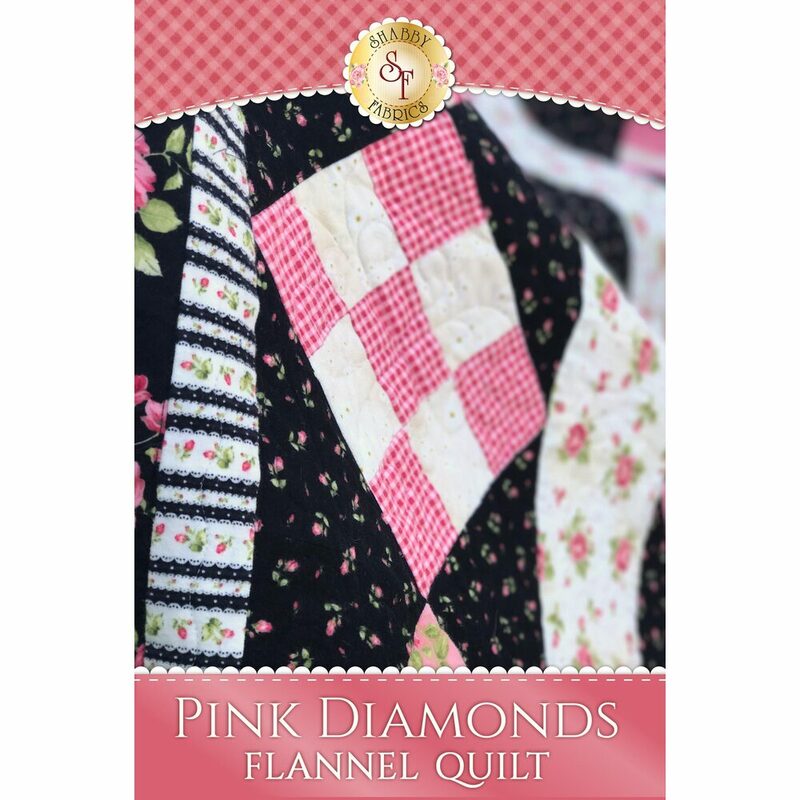 This cozy flannel quilt measures at approximately 58" x 69". This kit will include the pattern, all top fabrics to complete the quilt including the sashing, borders and binding. Backing can be added as a separate purchase below! For precision cutting, add the Olfa 45mm Rotary Cutter below!